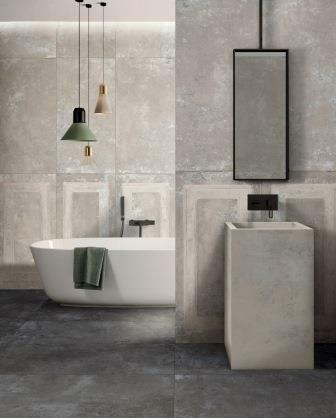 During Coverings 2019, Italian tile manufacturer ABK will present the latest additions to its range of WIDE 160×320 cm slabs. 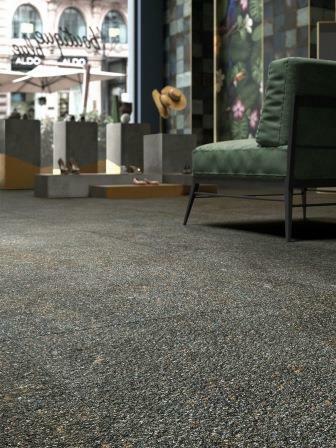 With thicknesses of 6 mm and 12 mm, specially designed for applications in the furniture sector, the NATIVE and GHOST collections incorporate the latest trends in Italian design. Hosted in booth #1734 in the Italian Pavilion, the ABK exhibit will enable visitors to discover a new world of colors and materials ranging from marble-look ceramic through to stone and vintage plaster effects. Far more than just surface coverings, these are in fact complete solutions for architecture and contemporary design. The NATIVE collection, inspired by the distinctive colors of porphyry from Italy’s Trentino region, has an elegant, homogeneous texture that reflects the growing popularity of fine-grained stone materials. With its variety of intense colors, sizes and decorations inspired by layers of decaying plaster, the GHOST collection stands out for its wealth of details that lend a distinctive personality to any floor or wall installation. Large porcelain slabs are recognized as one of the most practical and hard-wearing of all materials and are becoming increasingly popular in the world of furnishings. They are ideal for use as kitchen worktops and tables, for bathroom furniture, and more.